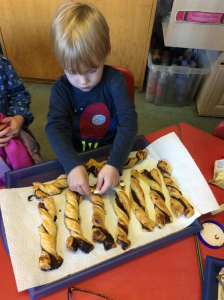 This week Butterflies have been inspired by the book ‘The Gruffalo’ which has created variety of activities and imagination. 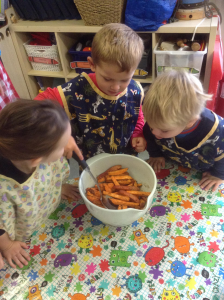 Once the little Gruffalos had filled their bellies they went for a walk in the woods to hunt for animals from the story. 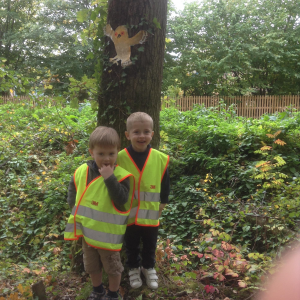 The Children found the mouse, owl, snake and the fox hiding in within the woods. 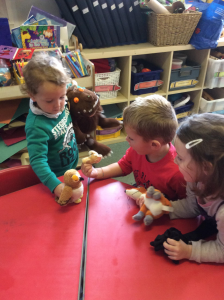 The butterflies returned from the woods to recreate the story of ‘The Gruffalo’ with the hand puppets and soft toys.